I was driving on the 405 freeway this past weekend and couldn’t help but notice all the shredded remains of tires on the side of the road. The thought of driving at a high speed when a tire blows is scary. It made me think about how those drivers could have avoided this. And what I need to do to make sure this doesn’t happen to me. Simple things are often the most effective. Checking tire pressure and monitoring for wear-and-tear are standard safety measures. But most people overlook the importance. Instead, they keep a narrow focus on having enough gas to reach their destination. And that is short-sighted. Imagine that for the rest of your life, you can have only one car and one set of tires. I’d bet lots of money that you’d take a lot better care of your tires. You’d do this because you want to prevent an accident that could damage the rest of the car. I bet you’re wondering, what does this car safety reminder have to do with you being Athlete For Life? Similar to a car, if you look down, you’ll see the area of your body that most athletes neglect. And it’s the area that causes more accidental injury than they realize. I’m talking about everything below your knee –from the calves on down to your ankles and feet. It’s unfortunate because the majority of those injury “accidents” could have been avoided if the right body maintenance was done on a regular basis. Like the tires of your car, your feet take the most incidental abuse. In being athletic, there’s an accumulation of stress from wear-and-tear that creeps up on you. Your performance, along with the health of the rest of the body, diminishes over time. It leaves most aging athletes fighting a slow and agonizing uphill battle to feel good again. But this doesn’t have to be your fate. I want to help you avoid this by providing a solution that will help you maintain your body like the high performance machine that you want it to be. And most importantly, prevent injury. Read on to find out how. During the push-off phase of walking or running, your big toe (first metatarsophalangeal or MTP joint) acts to steer the direction of the forces that travel up your body to create movement. Sounds pretty important, right? What I’ve found is that many athletes that I evaluate have a deficiency in how their big toe moves. When I see this, I can predict that their body’s compensation to create alignment to distribute force will, in time, rear its ugly head elsewhere in their body. It could be a bad knee, tight hip, low back pain, and even a shoulder injury. That’s why discovering your big toe function is one of the first tests in the Search and Rescue Mobility (SARM) Self-Evaluation Screen. The Bottom Of Your Feet: Where the rubber meets the road. On the bottom of your feet you have sensory receptors that communicate the amount of force with each step. 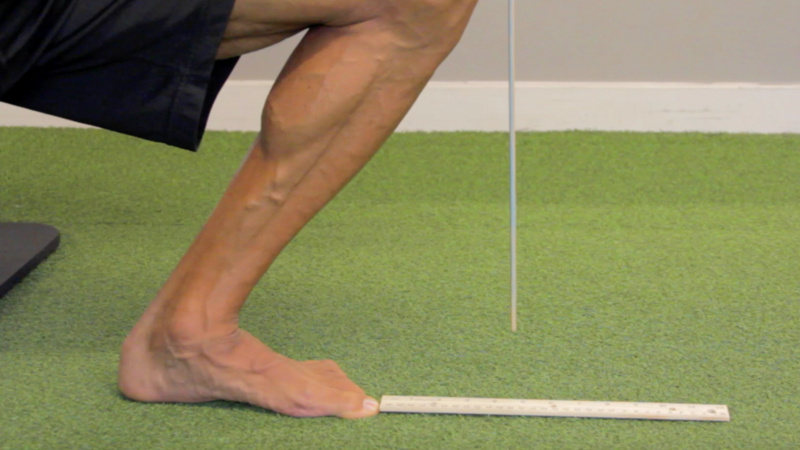 This dictates what muscles get recruited, by how much, and the timing pattern to provide stability or mobility. Those important muscles include your glutes, abdominals, and even your diaphragm. All are essential to having functional movement. Your internal foot structure serves your body like the inflation tube of your tire. When the tire pressure is on point, then the rest of the tire can do its job to provide stability and control for responsive performance. If the tire is too firm and rigid, then you’re more likely to blow a tire going over a pothole. If it’s too soft, then you’re likely to blow a tire if you try to go at high speed. In the same way, your internal foot structure needs to be pliable to handle the rigid ground. But stable enough to support how fast you want to go. The right balance of self-myofascial release on the foot and single leg stability exercises will keep your toes and feet in a happy place. And that allows the rest of your body to function better. Think of the ankle as a locksmith and gatekeeper. It responds to signals that come from the top down (gravity) and bottom up (ground reaction) forces. It will lock and unlock the flow of energy to provide either mobility or stability. The ankle helps you to load and unload that energy with every stride, pivot, and jump. But if the timing is off and the degree of range of motion is deficient, then your performance will suffer. The free energy created from ground reaction forces and gravity will leak into the wrong places. That energy can then get trapped in your muscles and joints, leading to unwanted stiffness and breakdown. In some instances, it can cause stress fractures. This why it’s critical for you to give credence to your ongoing care for this powerful joint. One of the major roles of the lower leg muscles and their tendons is to help control what happens at your ankle and feet. There are so many of them that anatomy books name four compartments to help identify them all. These are the anterior, lateral, posterior, and deep posterior compartments. Those muscles and tendons are continuations of many of the 100 muscles (yes, 100) in the feet. It’s a complex network that needs the right attention to have optimal function. Not to sound like a broken record. 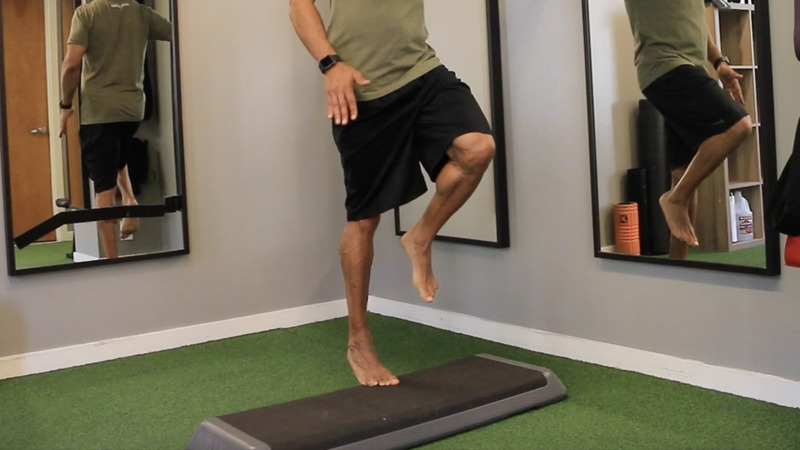 But this upkeep for the lower leg muscles requires the right balance of self-myofascial release and strengthening exercises. What is that right balance for you? You can discover it when you take the SARM Self-Evaluation Screen. It comes with the Search and Rescue Mobility body-care program that I’ve developed. And it’s the starting point in your process of self-care. Get yours today, and get on the road to your Athlete For Life journey.